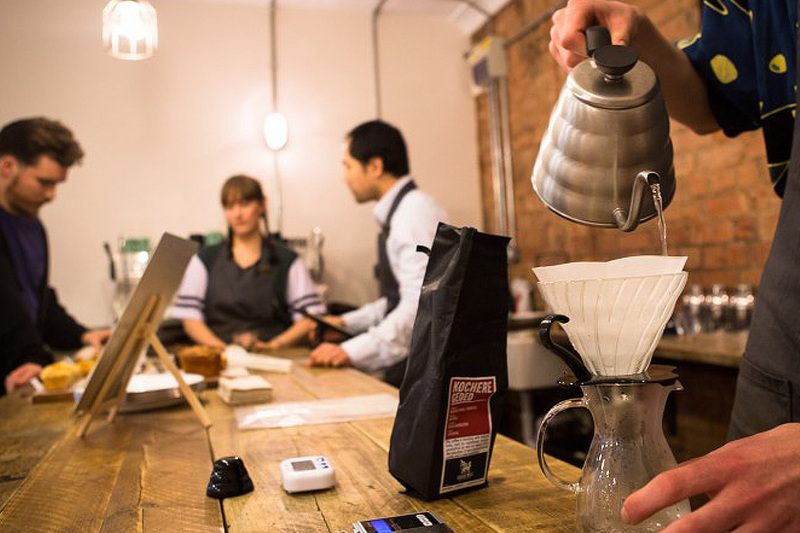 In Birmingham and beyond, coffee may well be king but tea is getting hotter and hotter. 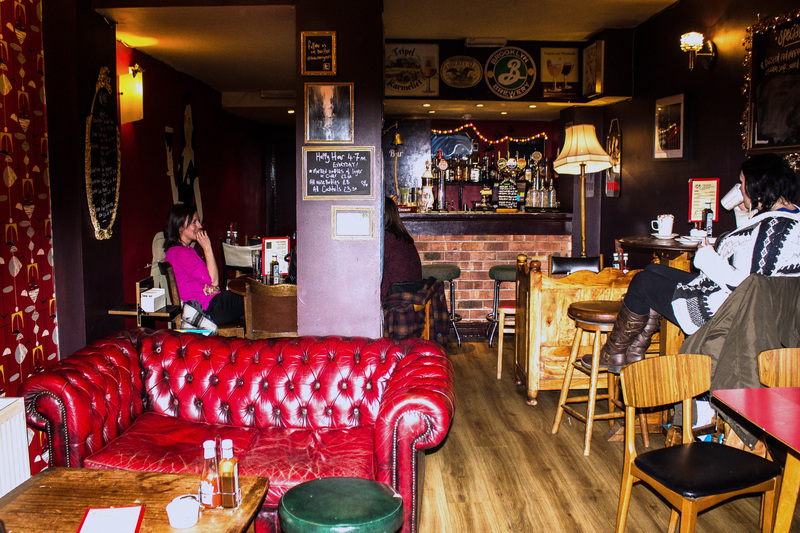 And from artisan roasters and chichi coffee houses to old-school cafés and terribly twee teahouses, Birmingham has pretty much everything you need for your caffeine kick. 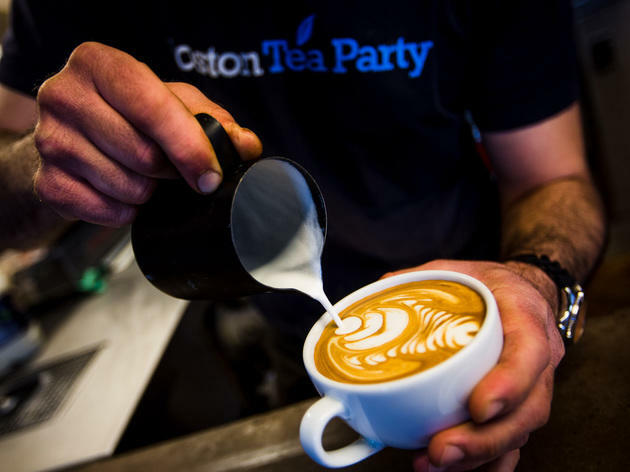 Even our pubs, bars and restaurants are getting in on the act to source and serve coffee and tea every bit as good as their food and booze. 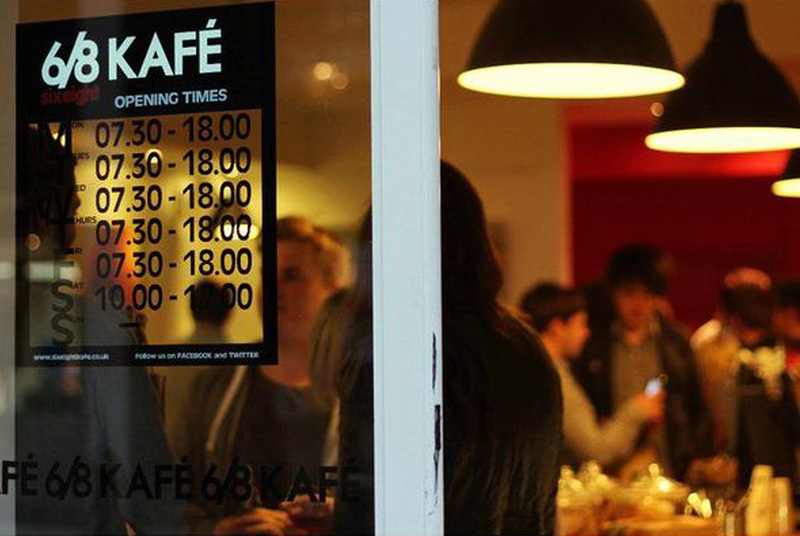 We've put together the cofee shops and cafés we think are the best in Birmingham, so have a gander and get stuck in. Beautiful beans and lovely leaves await. Opened in 2009, Urban’s Church Street emporium set the blueprint for Birmingham coffee culture, bringing the values of London's independent scene to the city and a standard that many indies have followed. 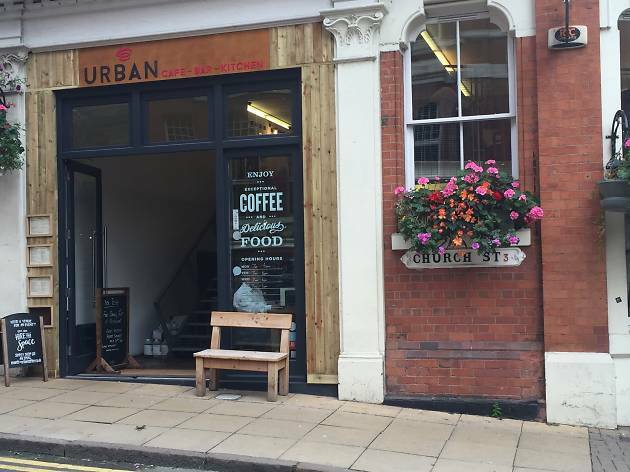 Testament to its popularity, Urban opens seven days a week, and is used by everyone from office types having a morning meeting to on-the-hoof freelancers quietly working away, to folks just wanting a glorious coffee and a slice of cake. Its two floors are a thriving hive of community; a snapshot of Brummie diversity. This delightful place, nestled next to the Great Western Arcade in Temple Row, oozes an unpretentious indie vibe and a great atmosphere. 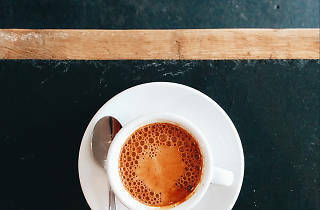 On top of its chalk boards, locally sourced and crafted goods and excellent coffee, it set a trend early on with its desire to pass on its craft to its customers. 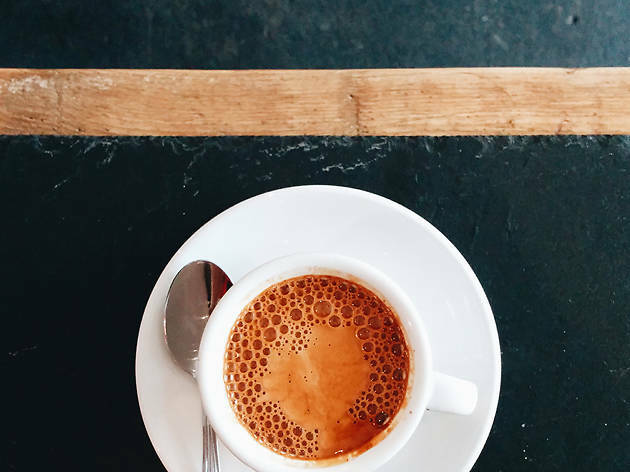 There are often guest espressos, a plethora of different choices on drip, and every morning you can also get an old-school filter – including the dependable Philter. Breakfast covers everything from pastries to porridge, while lunch includes the standard sandwiches and paninis – and there is always a healthy supply of cake. One of the first venues to open at lavish new city centre complex The Grand, 200 Degrees is a haven of artisanal coffee and exquisite sandwiches. 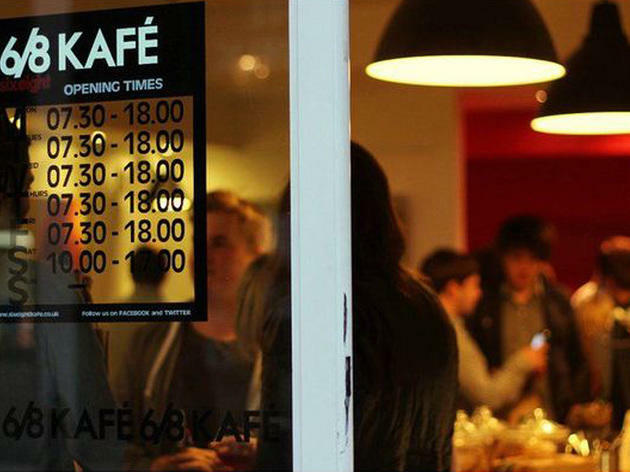 Despite the wealth of independent coffee shops in Birmingham, this one stands out for its emphasis on the food as well as the brews. Sandwiches are available from a frequently refreshed menu. Naturally, they roast their own house blend, an exotic combination of Vietnamese Robusta and Columbian Arabica beans. In addition to this, a ‘guest bean’ is hosted each month, enabling patrons to sample and savour new coffee flavours. 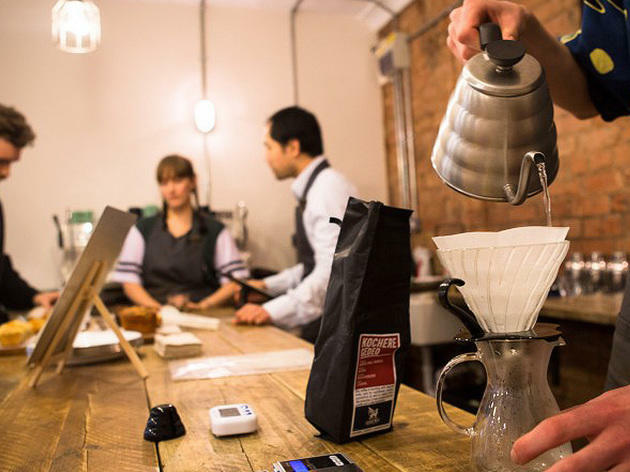 Faculty by name and nature – you’ll find caffeine alchemy in Brum’s answer to a coffee classroom. Opened in 2014 by former Saint Caffe owner Geoff Lam, nestled in the Piccadilly Arcade and 30 seconds from New Street Station, Faculty is on a mission to provide great coffee and enable customers to understand more about it. There’s no room for sofas or comfy chairs – Faculty is a lab for coffee making. An intimate room with a slight pop-up vibe, its decor is stripped back and industrial, with wooden fittings, exposed brick and pipework aplenty. Appropriately though, there are a couple of old-school desks. An oasis of Middle Eastern hospitality in the leafy bohemian suburb of Moseley, Damascena has won over Birmingham’s tastemakers and punters alike. Proof of its success came with a raft of awards and an announcement in late 2016 that they would be opening a new branch at a prime city centre location. Coffee first came to us from the Middle East, and Damascena is the place to discover its roots. Then, when it comes to lunch and dinner, classic shawarmas feature roast lamb or chicken wrapped up with garlic dressing and gherkins. There are also plenty of choices for non meat-eaters. The surest symbol of Shorditchery has exported its technicolour brand of breakfast to Birmingham’s Bullring shopping centre. 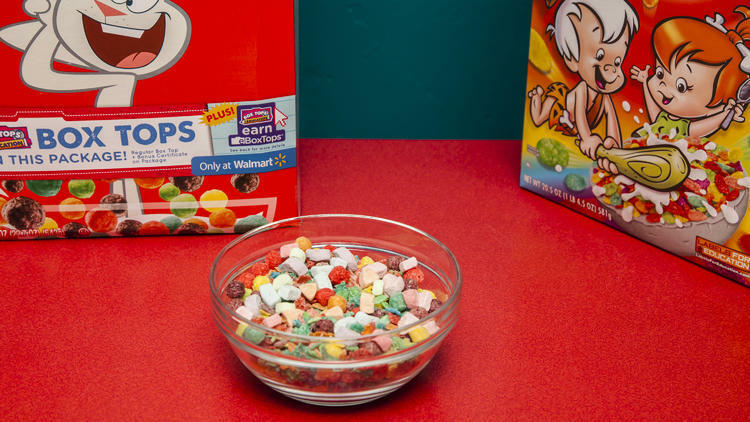 The hipstertastic venue takes the humble breakfast cereal and adds spoonfuls of nostalgia, quirk and (one assumes) irony, to serve up a haven for every big kid out there. Looking beyond these understated shores for inspiration, Cereal Killer Cafe does more than just your run of the mill cornflakes and rice krispies. 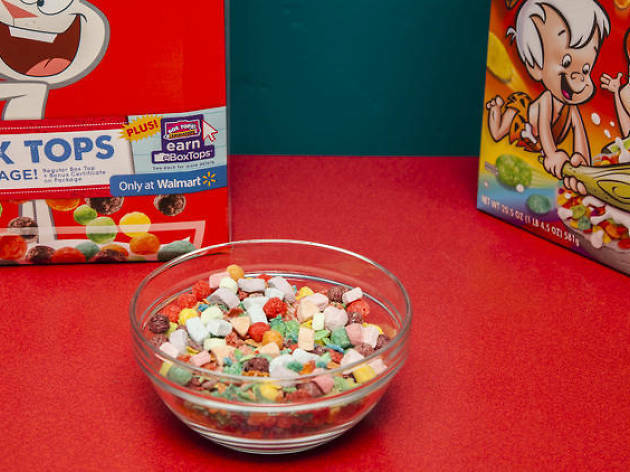 Milk comes in a whopping 30 different varieties and flavours, and there are toppings like hundreds and thousands to be added as well. Expect to pay around the £4 mark for a bowl of goodies. 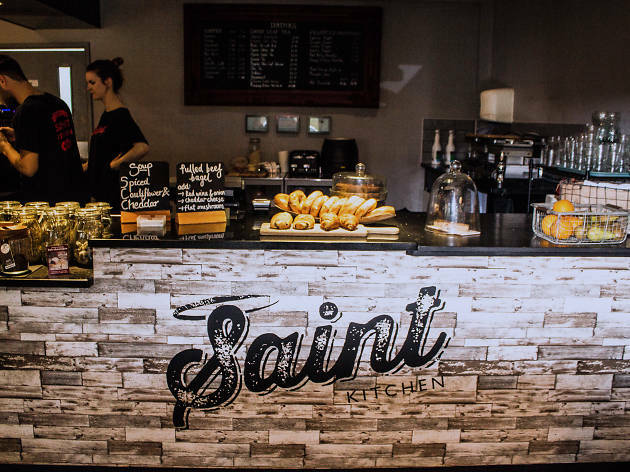 Formerly Saint Caffe, Saint Kitchen has occupied this space in the beautiful environs of St Paul's Square since 2014. This youthful establishment is popular with visitors, businesses and residents alike – and it’s easy to see why. It’s bright and welcoming and the emphasis on great coffee has continued from its predecessor, alongside an increased focus on the food. 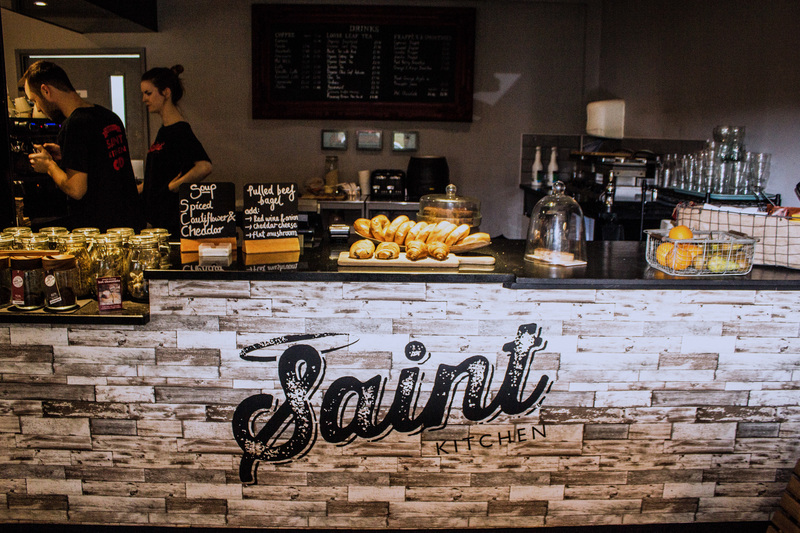 The laden counter and packed menu will catch your eye as you enter, taking centre stage amid a seating area that boasts stylish chairs and stone and wood fittings. The coffee is mighty fine, and barista Liam's flat white is one of the best anywhere, getting the most from Extract Coffee's beans. There are also options on filter, as well as an ample choice of loose leaf teas, and single-origin hot chocolate courtesy of Kokoa Collection. Food offerings include all-day breakfasts, paninis, noodles, soups and plenty of cake. Owner and chef Will cares about prompt service and strong presentation, and even a humble round of toast will be presented with flair. 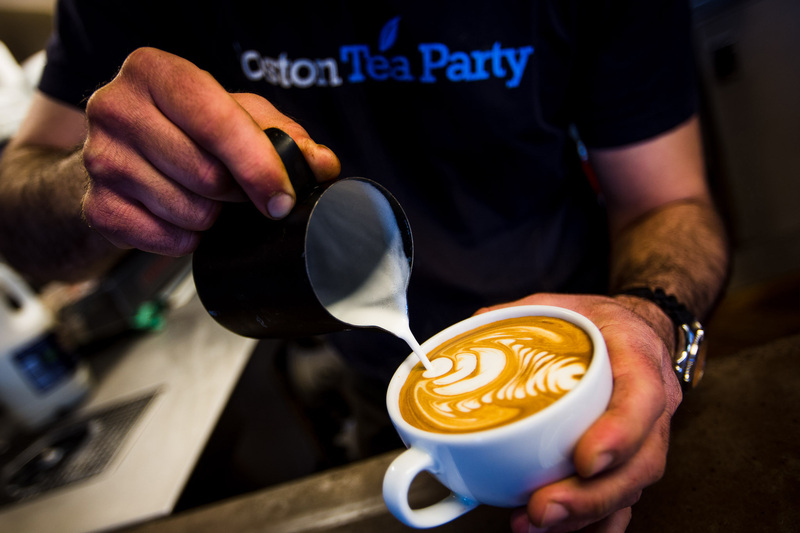 Boston Tea Party is a friendly, family-run chain that has been growing exponentially up and down the M5 over the past few years. It’s a byword for consistency and familiarity. Arriving in Birmingham in 2013, this was a caffeinated shot in the arm of Corporation Street, occupying the huge space left previously by a giant Yates pub. If you're not sucked in by the massive trays of home baked cakes taking up the counter on entrance, then BTP’s vast menu covers the options – from all-day breakfasts to mains including burgers, salads, toasted sandwiches, soups and a very good kids' menu. Ingredients are sourced from numerous West Country suppliers including Bristol's excellent Extract Coffee Roasters. Loose leaf teas come courtesy of Canton and there are smoothies, shakes, juices, beers, soft drinks and wines aplenty. Under Pressure Espresso is a gem for caffeine lovers, providing beautifully crafted coffee in cool surrounds. Check out the coffee bean spice rack and exposed brickwork with a twist, or take a seat at one of the rustic tables and chairs and take advantage of the WiFi. Serving beans from London's Workshop Coffee, from a Victoria Arduino espresso machine, it has a simple menu that’s reminiscent of places such as Prufrock. You can have espresso with or without smooth, steamed milk (say flat white and you will get just that), along with filter and brewed selections. The espresso is Workshop's excellent Cult of Done blend – a clean, sweet and spicy brew – or, if you’re not in the mood for coffee, there’s a selection of Canton Teas to choose from. Lil’s Parlour supplies amazing cakes, while the fantastic bread and pastries (and Scandinavian buns) come courtesy of Thirteen Bakers. Under Pressure Espresso is a delight, and worth venturing out to Sutton for. 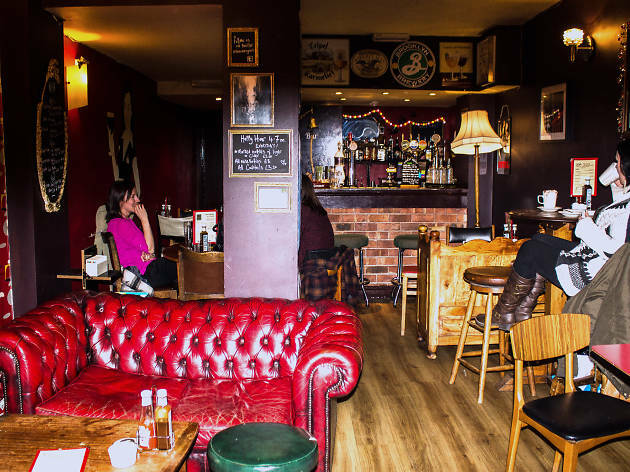 Birmingham born and bred, this independent coffee shop and bar is a local institution, having begun life in Kings Heath before making the move to opening a sister venue in the heart of the bustling city centre. It’s position on John Bright Street puts it at the core of a recently resurgent strip of popular bars and restaurants. You’ll find a range of appetising comfort food here, from American-style pancakes with a coating of syrup, to a wonderfully satisfying falafel burger that even the meatiest of meat-eaters have been known to savour. Not only that, but the atmosphere is warm, welcoming and chilled-out.